What Good Is a Diary? By Matt Reimann. Jul 11, 2015. 9:00 AM. Who is a diary written for? Is it for the writer’s sake, so she may one day recall her past? Perhaps it’s for close friends and family to inherit. Maybe it’s for some distant reader, an audience miles and years away. Or maybe it’s for no one at all — an act of self-expression to be merely “drunk by the ghosts,” as Kafka says. It often feels that way. If you’ve ever kept a diary or journal yourself, you might cringe at the very idea of re-reading it, let alone granting access to others. And we know there are few breaches of confidence so severe as stealing a peek at someone else’s personal entries. It sometimes feels as if diaries are best written and not read. And if that’s the case, what good are they, anyway? We all know that people like to talk about themselves. But talking about oneself is most pleasurable when the speaker has control. While diaries are a relatively scarce literary form, there is no shortage of autobiographies and memoirs. This is because the writer of an autobiography has considerable dominion over her narrative. She knows what’s significant, what to emphasize, and the overall image of herself she is going to present. The autobiography allows its author to provide all the tidiness and cohesion that retrospection affords. The diarist is far more vulnerable, and ultimately knows nothing about where all the writing is leading to. It takes either a great amount of courage or the impotence of death for a diary to be published. Indeed, many diaries are only available to us because of posthumous publication. Franz Kafka’s diaries (and most of his writings) are famously the result of a betrayal of his will. 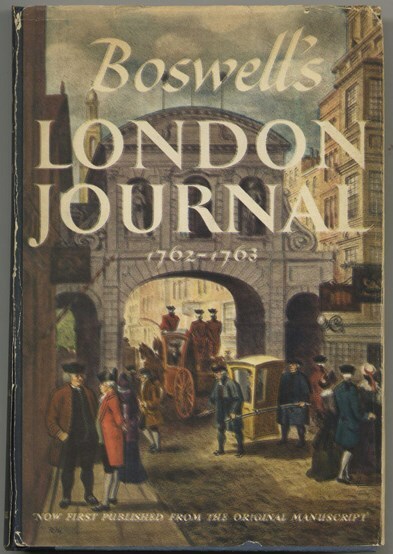 James Boswell’s diaries were first published in 1950, over 150 years after his death. And The Diary of a Young Girl by Anne Frank, one of the most important examples of the century, captivated its readers in ways she never could have imagined. Ancient civilizations recorded the events of a day, but rarely, if ever, in personal terms. As an agrarian culture, the Greek ephemerides recorded ecological and astronomical details for future reference. The Romans recorded civil events like religious celebrations. Still, the idea that one's daily experiences and perspectives were worth recording was yet to come. The closest example to a diary from the Greco-Roman world is likely Marcus Aurelius’ Meditations. It is much like a diary in that it was never intended for anyone to read other than its author. It is not a perfect book. Bertrand Russell criticized it for its great inconsistencies, which arguably makes it only more authentic as representation of a man. President Bill Clinton has called Meditations his favorite book. Eastern literature was sooner to embrace the diary as a form. Li Ao kept a travel diary in the ninth century, and many diaries appear in Arabic a century later. The diary as we know it came to be in the West around the Renaissance. That’s when the practice of incorporating one's opinions and feelings about the day truly hit its stride. As the diary became popular, it wasn't long before fiction began to use the format as its premise. Defoe's A Journal of the Plague Year (1722) and Gogol's Diary of a Madman (1835) are some famous examples of this style. Samuel Pepys’ (1633-1703) Diary is one of the most famous and oldest examples in the English language. Because of Pepys’ trenchant attention to detail and lack of reserve, his diary is considered by some to be the best of all time. Pepys was a naval administrator, and while otherwise not a man of letters, his diary proves his veritable literary talents. He records unsparingly his insecurities, the time of day he ate, and being woken up by his cat in the night. He also presents a picture of 17th century London life, and provides detailed accounts of events like the Great Plague and Great Fire that the city endured. Jonathan Swift, James Boswell, Sir Walter Scott, Katherine Mansfield, and Ralph Waldo Emerson are among the many significant writers whose diaries survive for our pleasure. For his most dedicated readers, Emerson’s fifty-five years of journaling is his magnum opus. It is also the fount of many of his essays and lectures. Virginia Woolf, in her own diary (which spans five volumes) talked about what makes the diary conducive to creativity. She noted that the practice of writing a diary demands speed, and as a result, a relaxation of self-consciousness. “If I stopped and took thought,” Woolf said of writing her diary, “it would never be written at all.” Thus, she finds she produces certain gems that could have only been born in the chaos. 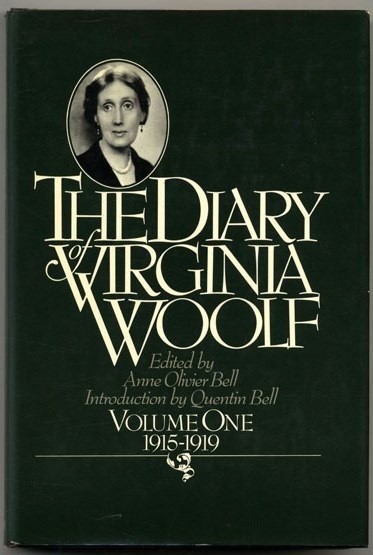 Like many diarists, Woolf noted the alienation of reading one’s own diary soon after it was written. The writer who appears on the page seems rather different from oneself. Franz Kafka captured the uncanniness of self-expression in a letter. He noted that “written kisses do not reach their destination, rather they are drunk by the ghosts on the way.” In that sentence, Kafka describes the tension of dedicating the self — a constantly shifting entity of feeling and thoughts — to the permanent medium of language. Other diarists have noted, like Susan Sontag and Anais Nin, that keeping a diary is as much a way to form oneself as it is to capture it. “Of course,” wrote Sontag in a review of Camus’ dairy, “a writer’s journal must not be judged by the standards of a diary. The notebooks of a writer have a very special function: in them he builds up, piece by piece, the identity of a writer to himself.” Sontag remarked in her own experience as a diarist that the special expression of a journal fosters the actual construction of identity. 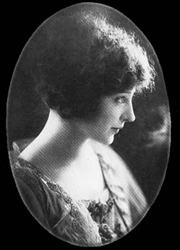 Anais Nin mastered the diary, perhaps unlike any writer in recent memory. She kept journals for over sixty years, nearly the entirety of her life. She found it essential to the practice of writing. It was also a crucial exercise in the act of paying attention. Nin found that what she wrote about in her diary ended up being what she found most interesting and engaging. As Sontag once wrote, “attention is vitality.” There is much to be discovered between these two diarists, especially when put in conversation with each other. The diary also has a talent for illuminating history. Because it offers the perspective of people who do not know the grand outcome of events, it is a useful resource for historians. James Barbican's Confessions of a Rum Runner (1928) takes its reader through the world of Prohibition. Civil War diaries are nearly a genre in themselves. Few conflicts have been immortalized by the collective literacy of its soldiers as the Civil War. Yet no diary of a historical moment eclipses Anne Frank's The Diary of a Young Girl. That it was written by a teenager is astonishing. The magic of the book is that its honesty and life levels the ruins that were to follow it. We all see ourselves in Anne Frank. Her life is, in more ways than not, just like ours. We do not know where it’s going, and all we can do is appreciate the quotidian accumulations that make up a life. In her diary, we know the heartbreak of how it ends for its speaker. But we discover that life, when viewed piece by piece, makes us far more similar than different.